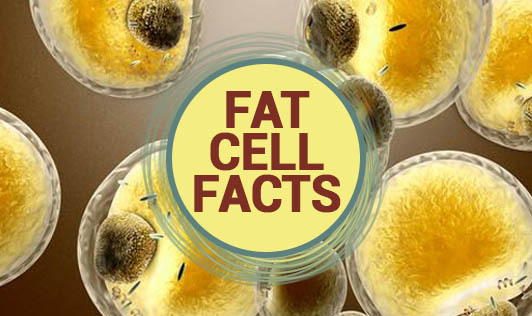 Did you know that fat cells are capable of increasing their size by 20-fold and their number by several thousand-fold? The number of fat cells increases most rapidly during growing years. When energy intake exceeds expenditure, fat cells increase in size. When fat cells have reached their maximum size and energy intake continues to exceed energy expenditure, fat cells increase in number again. With fat loss, the size of the fat cells shrinks, but not the number. Thus obesity develops when a person's fat cells increase in number, in size, or quite often both. • Replace full fat dairy products with low fat alternatives. • Avoid sweets, pies and pastries, cakes, crisps and fried foods as they are all high in fat. Go for healthy snacks and desserts. • Avoid high fat meats such as sausages, bacon and beef. Choose lean cuts of meat and trim all visible fat before cooking. Poultry should be eaten without the skin, and fish should be steamed, grilled, baked or microwaved rather than fried. • Don't forget to exercise.